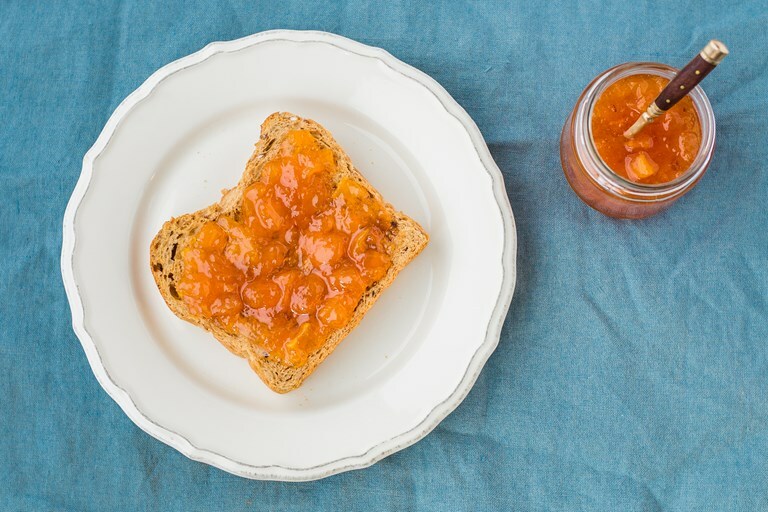 This beautiful peach jam recipe captures the flavour and colours of summer, and can be endlessly adapted with a host of different flavourings – rosemary makes an unusual yet elegant addition. Learn how to sterilise jam jars before attempting this recipe. Try flavouring the jam with vanilla seeds, or a sprig of rosemary if you’re feeling adventurous! This recipe will make enough to fill 1–2 250ml jam jars.